After retirement in 1972, Bob and Beatrice moved from Honolulu to Madison, Florida. Like many creative people, “retirement” didn’t agree with him. With nothing else to do, he decided to build a model of the sci-fi engine he had invented for his novel. It worked! The Magnipulsion Engine produced large amounts of mechanical energy while running on short pulses of DC current delivered to its electro-magnetic coils. In addition, when the power coils were turned off, the circuitry could also recapture most of this input electricity from the collapsing magnetic fields to be used again. Many of the photographs of the motors show light bulbs being lit with this recovered and recycled electricity. This capability is also demonstrated in the Interview Film link below. The remarkable thing was, the recovery and reuse of this electric power did not diminish the mechanical energy produced by the motor. The motor produced significant mechanical energy with no Back EMF, and the circuits returned most of the input electricity for a second use. It was a major advancement in electric motor design. 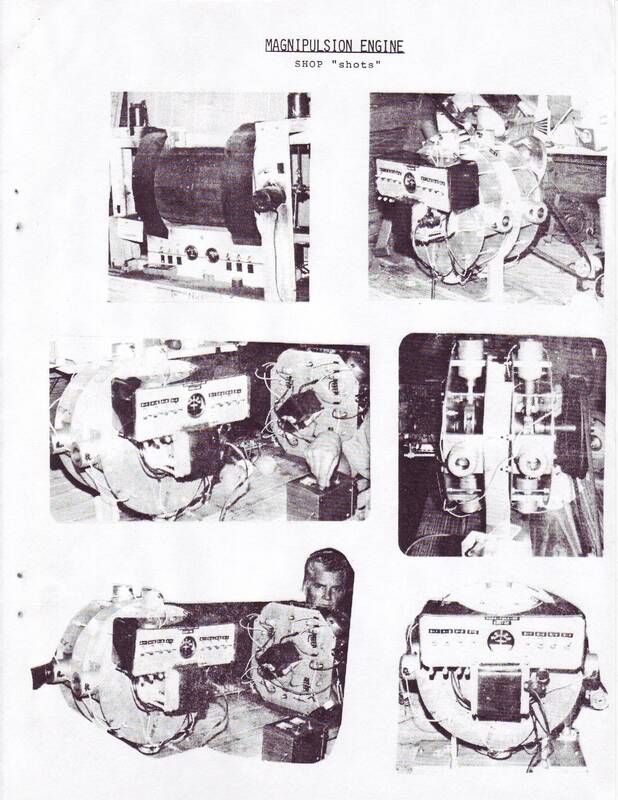 Many of the photographs show the Magnipulsion Engines turning little electric generators that were used to keep the power supply batteries fully charged during operation. 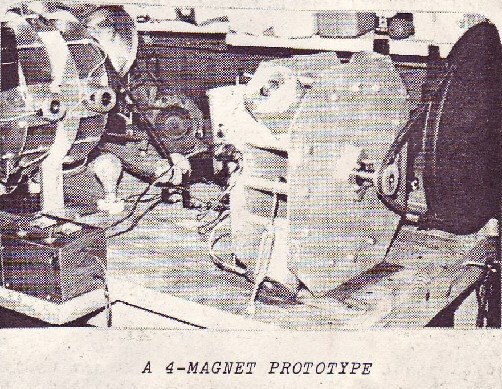 Bob Teal formed Magneteal Industries, Inc. and tried to raise capital to develop the invention. Unfortunately, only a handful of friends and small investors ever bought in. Bob Teal matched most of these investments with equal amounts of his own money. Most of these funds were used to build the 6 working prototypes and file the two US Patents that issued in 1977 and 1978. The last four cylinder prototype was reported to be able to produce 1 horsepower and run a 20-ton conveyor belt on the same automotive battery for months. He tried to interest officials in the State and Federal governments, but was unsuccessful. Dozens of newspaper stories were written about Bob Teal and his Magnipulsion Engine between 1976 and 1978. Most of this publicity came from the little story in the LA Times on May 30, 1976 titled “Impossible” Engine Invented for Real. This story was picked up by the wire services (UPI) and appeared in scores of other newspapers across the country. While the publicity brought hundreds of inquiries, nothing ever came of all the interest. The motor’s performance was just too “unbelievable” for most engineers and scientists to understand at the time. Bob Teal was never able to interest a major investor. Every single person willing to “invest” in the technology simply wanted to buy him out. But Bob wanted to work on the technology himself, with a financial partner involved. No deal ever developed that suited both parties. Magneteal Industries eventually ran out of money and formal attempts to develop the Magnipulsion Engine ended. Bob Teal continued to tinker with his miraculous invention until his death. At one point, his grandson tried one last time to get some of the old machines operating, but was not able to do so. Believing that the secrets of Magnipulsion had gone to the grave with Bob’s passing, the family eventually disposed of all of the models and working papers.